The city of Naperville, IL is a southwest suburb of Chicago and is a great place to live and raise a family. Naperville has also been voted as one of the best places to live in the United States. Many of the homes in this relatively new suburb are beginning to age and the windows in Naperville are starting to require replacement. 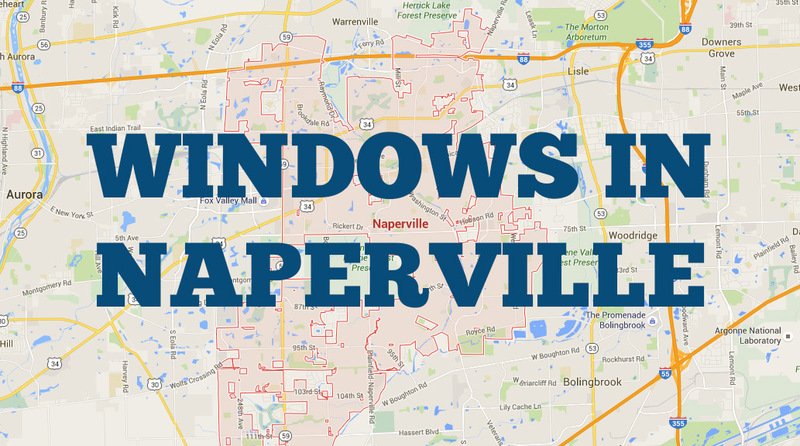 The current population in Naperville is nearing 150,000 people and that means that there are lots of homes needing replacement windows. That’s where Feldco comes in. As the leader in windows, siding and doors in the Chicagoland area and throughout the Midwest, we know a thing or two about exterior home improvements to your home in Naperville. If your home needs new windows (or siding and doors) make sure that you get your free window price quote started online. In this article, we’ve put together a list of facts about Naperville windows and window replacement that might just surprise you. Let’s get started. From the Energy Star rating to double-paned glass and argon gas fills, you need energy-efficient windows for your Naperville home. Why? It’s all about location. Winters in Naperville, IL are very cold and the summers can get to be very hot and humid. You don’t want to be going with a single-pane window in this climate. Let’s explain some of these window terms so that you know what they mean. 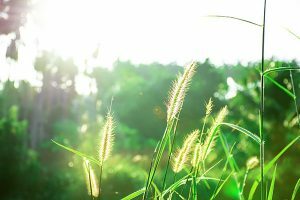 Energy Star Rated refers to a designation for energy-efficient windows that is created by the Environmental Protection Agency as well as the U.S. Department of Energy. The Energy Star certification goes on many products including windows, household appliances like washers and dryers and even televisions. Double pane or “dual-pane” windows are replacement windows that contain two panes of glass rather than the old single pane windows that have a single pane of glass. These two panes of glass are usually filled with a gas that acts an insulator. Argon gas is a natural element that is used to fill the panes of energy-efficient windows. It has no odor, is not harmful to humans or animals and adds additional R-factor or insulating value to your windows. 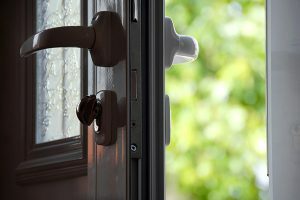 When thinking about replacing windows in Naperville, think about these factors before making a decision. Your house will be much more comfortable to live in as a result. When you invest in replacement windows in Naperville, you’re investing in your home’s value. According to Remodeling Magazine’s 2016 Cost vs. Value Report for the Midwest, you’ll recoup up to 66.6% of the cost of your new vinyl windows in Naperville. That’s pretty good. In addition to that, you’ll also be saving year in and year out on heating and cooling bills since your new windows will likely be much more energy-efficient than your old ones. 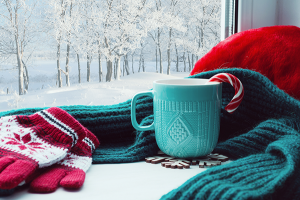 When your new windows are effectively able to block out the outside elements including summertime heat and the brutal cold in the wintertime, both your furnace and your air conditioner won’t have to work nearly as hard – saving you money month after month. In fact, if you’re replacing old single-pane windows in Naperville, you’ll save about $366 per year according to the energystar.gov website. A very important aspect of your window replacement will be the window company in Naperville that you choose to purchase and install your new windows. It’s critical to know that not all window companies in Naperville will be able to provide you with the same level of service. For example, not all window companies in Naperville have the capability to install your windows in a single day. Some of these window companies are very small contractors or handymen that don’t exclusively install windows. Oftentimes, you’ll see a company advertising windows in Naperville but they also do many other installations such as roofing, bathrooms, sunrooms and other unrelated work. Our advice is to stay away from those types of window contractors since they may not be as skilled as a dedicated window installation company. Most small window companies also don’t have a large service department to support you through what some may consider a long process of measuring, purchasing, scheduling installation, etc. One other consideration should be the price of your replacement windows in Naperville. You’ll typically run into better pricing for your replacement windows from a larger company that has been around for decades vs. a new startup. This is because a higher volume window company will be able to keep costs lower in manufacturing their windows vs. a smaller company. You also want to find a company that isn’t afraid to answer the difficult questions. When you ask to see samples of previous work or how they handle installation problems, they need to have an acceptable answer. If you’re planning on selling your home in the near future, your home value will increase as a result of replacing your old windows with new windows in Naperville. Many home buyers that are buying homes in Naperville aren’t looking forward to the expenses of replacing old windows. Although window replacement in Naperville can be made affordable, prospective home buyers may consider another home other than yours if the windows have recently been replaced. In addition to the monetary benefits of replacing your windows in Naperville, there are also aesthetic benefits that will attract more home buyers to your listing. Most high-quality replacement windows are available in several colors and finishes whether you’d like solid white windows, a nice beige or even wood finishes. There’s no doubt that any home can be made more visually pleasing with new replacement windows. From colors to fit and finish, your windows can be made exactly to your liking. If you choose to go with vinyl replacement windows, there are several colors available both for the interior of the windows and the exterior. Additionally, window hardware can also be customized such as hand cranks for casement windows, window locks and more. You might also consider double-pane or triple-pane windows for your Naperville home to make it more energy-efficient. In terms of the windows themselves, you will want to make sure that an accurate measurement is taken of your existing window openings so that a custom fit can be achieved which will create a better seal for your new windows. 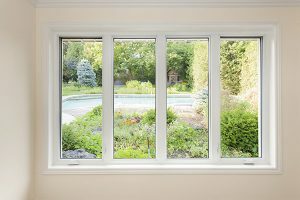 When deciding on which windows to go with for your Naperville window replacement project, think about the fit of the windows. Over time, your window openings may expand and contract with the seasons, causing problems such as air leakage and difficulty opening and closing with your existing windows. This can be solved by ordering custom made windows that will fit exactly into your window openings. The alternative to having custom windows made is lots of shimming and caulking which is bad news for energy efficiency. Choose custom fit and manufactured windows and you’ll be much happier later on. Naperville homes are some of the most coveted homes in the entire country. Your new windows in Naperville should also be coveted by your friends, house guests and neighbors. When your old windows start rattling, leaking air into your home causing drafts and other problems, make sure to give Feldco a call or get a free quote online. Maybe we’ll catch you on the Riverwalk sometime!